**Bible received for review. All thoughts are my own. When I first started my Bible journaling journey nearly a year ago, I don't know that I truly anticipated how much I would love it and how it would impact my life. I knew that I loved looking at pictures of the beautiful work that others have done, but I also knew I wasn't much of an artist either. I thought I might just try it for a few months and see what happened. That was almost a year ago. Since then, it has become my passion. I have fallen in love with journaling in my own Bible and sharing this newfound form of worship with others. I have journaled hundreds of pages, and I became quite knowledgeable on what Bible journals were available on the market and have even built up quite the collection myself. In all of my researching and looking for great Bibles, one kept appearing again and again. The dream bible. The one that everyone wanted. THE Bible. If you Bible journal yourself, you probably know the one I mean...it's a beauty! The ESV Journaling Bible provides the perfect way for you to keep a journal of your spiritual life right inside the Bible that you read and study every day. With covers and formats that look like the finest journals, the Journaling Bible features two-inch ruled margins for writing observations, reflections, prayers, praises, and journal entries. This unique Bible makes a great gift and lasting keepsake for anyone who values God's Word. Gorgeous, right? 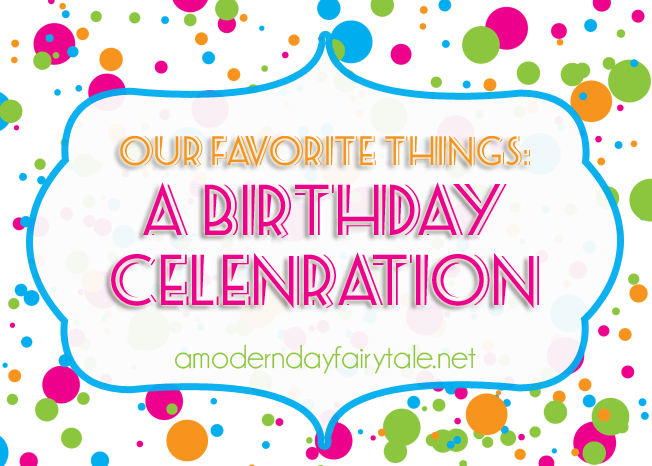 When I was working on coming up with the perfect giveaways for my favorite things birthday week, I knew that I had to include a journaling Bible, and I knew that there would be none greater than this! And let me tell you, it's even greater in person! Perhaps my favorite part is the tie closure. In my Bible journaling, I often use a variety of craft supplies, some of which are not completely flat. Over time, these elements can really add a lot of bulk to your Bible, making it hard to close. While I obviously haven't worked enough in this Bible to say for certain, I feel like this closure will allow plenty of room to grow. Aside from the beauty of this leather wrapped Bible, it's all about quality. It is beautifully crafted and made to last! One thing I have to say about journaling Bibles is that they can really take a little bit of a beating! Not literally of course, but they can certainly start to show some use the more they are used. This bible is made to withstand it. People often mention that journaling Bibles are a great way to document faith and pass down that record to their children. To me, no other Bible quite has that heirloom look and quality as much as this. I also loved some of the extras that this Bible included that others in my collection have not. There is an intro as to why we should read the Bible. There are scripture references to help you discover scriptures based on topics that are important to you. 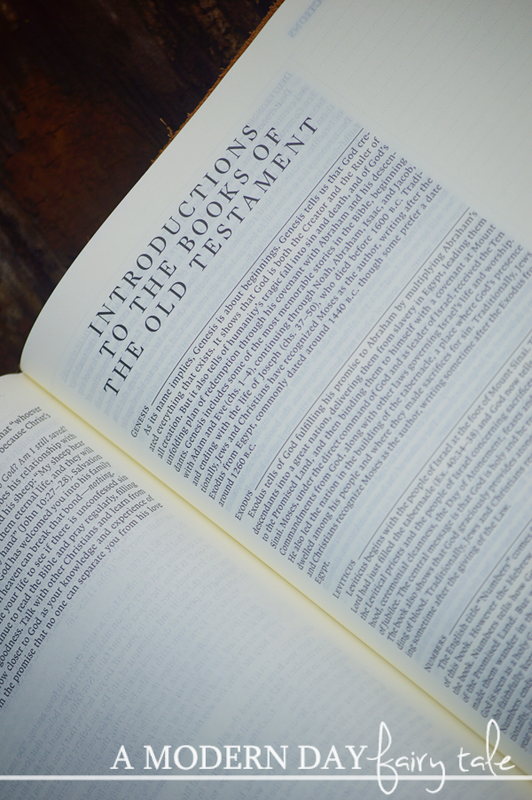 There are introductions to each book in the Bible with a brief overview to help you better understand the significance of each book. 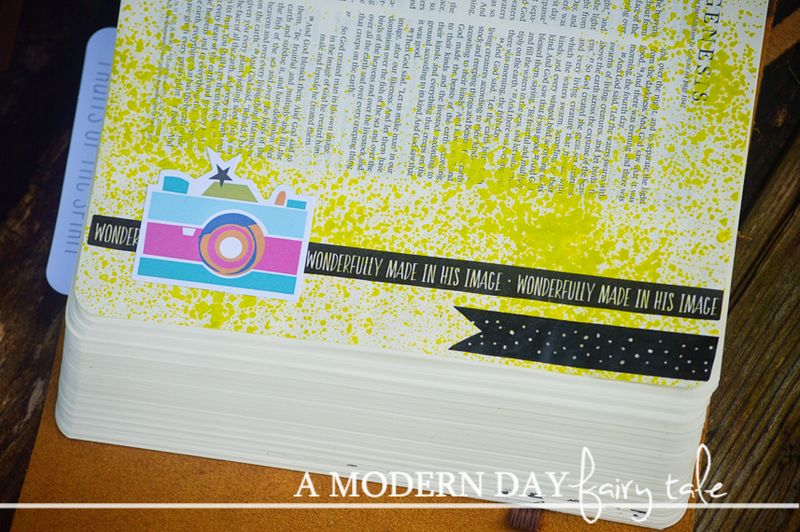 And each of these pages still has a spot for journaling! This is great if there is something you're wanting to journal but perhaps have already journaled the page that scripture is on, or that is perhaps a more general topic rather than based one one scripture! I loved this extra added space and have enjoyed journaling in it already!! Prefer single column or interleaved Bibles instead? You can also get this style in these versions as well! 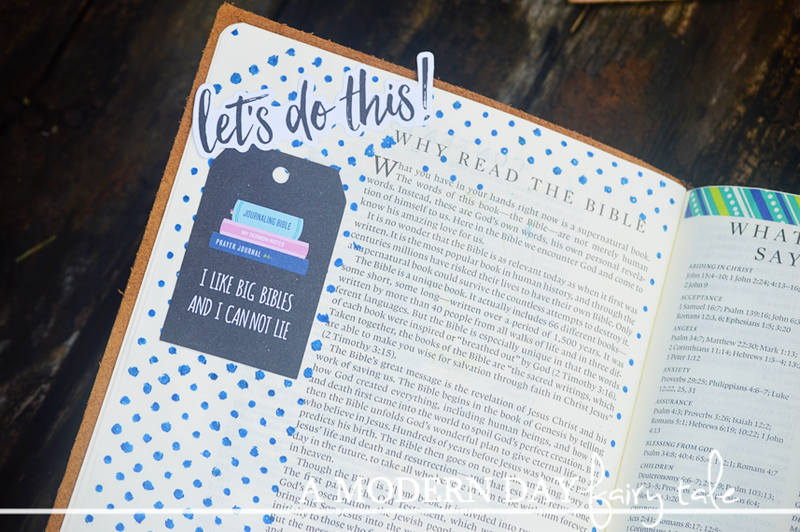 Whether you are just starting out with Bible journaling and want to start with the best of the best, or already have a collection and need the perfect Bible to complete it, this is certainly one you will want to check out! HaPpY bIrThDaY sister in Christ xox Thanks for the opportunity to win and I pray you have a successful and happy year. Happy Happy Birthday!! I hope its fabulous!! This bible is beautiful and your journaling is amazing!!! Happy Birthday, and a blessed year to come! What a beautiful gift to give away on your special day! oh, happy birthday! this looks so beautiful! Happy birthday to you!! Beautiful journal. Happy Birthday! 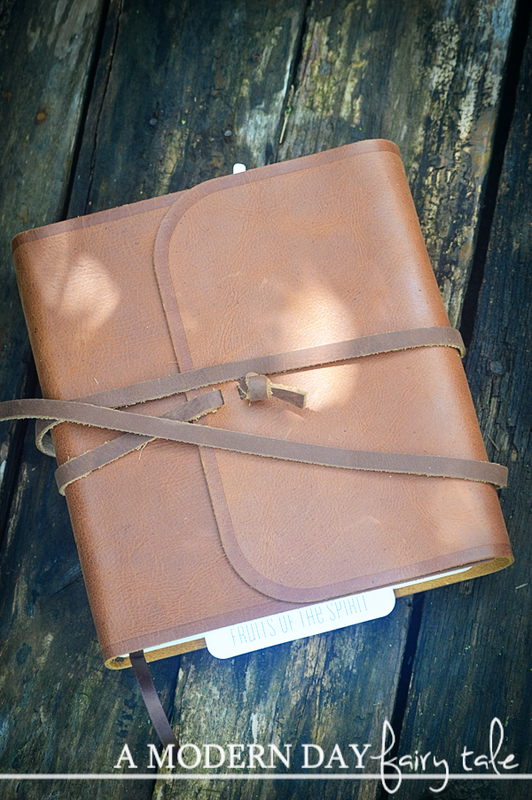 Would love to win this journaling Bible. Happy birthday! I hope it's great! Happy Birthday! This looks like a great bible journal, and I like the enclosure! I know someone that would really love this. 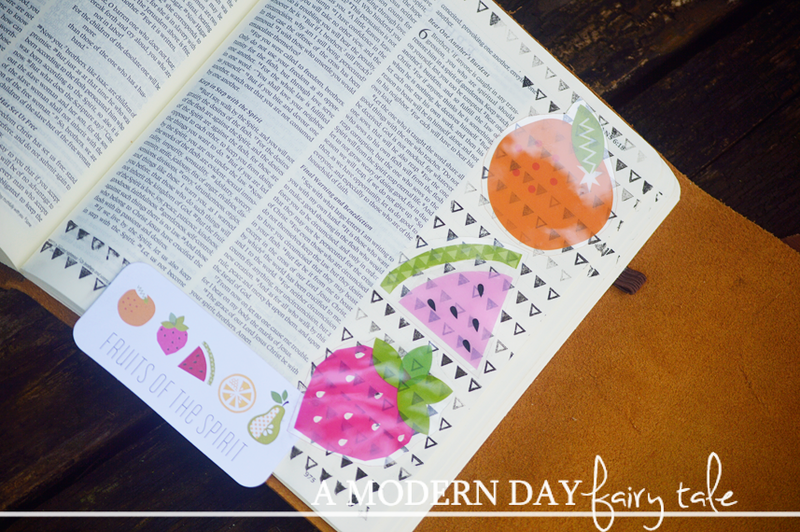 Bible journaling looks like a fun activity.